Ok I know that wasn’t exactly what you expected to see of Sydney – well quite frankly neither did we. There’s so much more to this city than the Opera House, Harbour Bridge and Bondi beach and we plan to do it all. Running this morning we experienced Aussie as it is – locals greeting you as they pass by, voluntarily with a simple ‘HI’, signs on the running path showing you which side to run – it was clear though that Roger did not notice these as he ran on the grass and on the wrong side of the trail, but we really didn’t expect anything else did we – a well manicured park with waterways at every turn, rolling hills, and finally the crashing of the waves on the white sand, soaking in the crisp sea breeze before returning home. Heaven really. 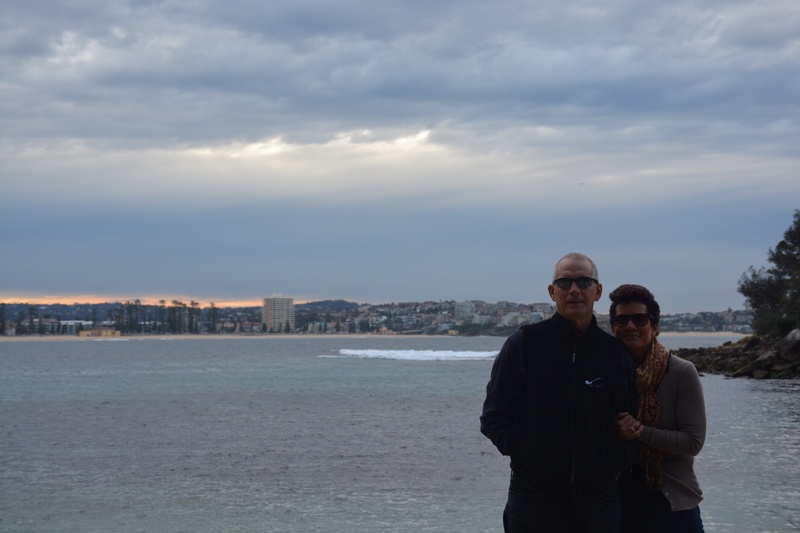 We’ve been touring Manly, a suburb of Sydney, which gives you the sense of living the island life in a city atmosphere. The relaxed feel, the cool breeze, the closeness of the coast at every point. This place is so different, says my husband. Where in TT black birds, doves and pigeons are a normal sight, here you are delighted by the Lorikeet, Cockatoo, Magpie and the Great White Pelican, just to name a few. Truly a delight. Enjoy the pics in the gallery on the top of this post. Well, looks like you are off to a good start.